We all know how important play is for learning – some refer to play as ‘children’s work’. If children have lots of opportunities for playing, then their opportunities for learning are improved – both at the time they are playing, and later in school. Dads bring an important mix to the type of games children play – and this helps ready children for the challenges of the classroom and school yard. Playtime with both parents is important for the development of pre-school aged children. 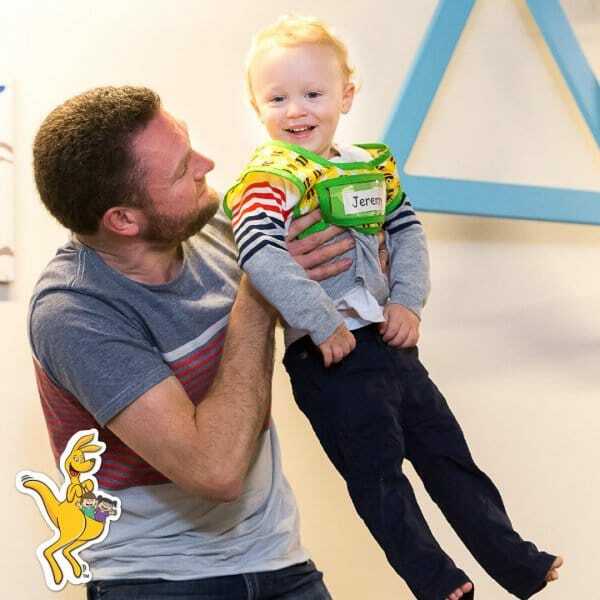 You just need to watch how mums and dads play differently with their children to notice the different kinds of play opportunities that parents provide. It should come as no surprise that dads tend to be more vigorous – they are more inclined to encourage children to play out-of-doors activities that involve a bit of rough and tumble. Research lead by Dr Richard Fletcher of The University of Newcastle has found that “playing with dad can boost a child’s vocabulary and ‘rough and tumble’ play is an excellent way for children to learn how to manage strong emotions, such as anger.” Dr Fletcher’s research also shows that fathers’ high-quality ‘rough and tumble’ play is linked to fewer behavioural problems in pre-schoolers. This activity has three parts, so depending on how tall your child is or how well they can balance; you can decide which types of balancing activities you’d like to try. Dad and child facing each other, holding onto each other’s right hand. Keeping both feet on the ground with toes facing forwards, both players will lean back as far as they can until they’re nearly falling over. Finding the balance with the two players being such different sizes makes this a difficult game! If you fall over, just hop back up and keep trying. You can also alternate to holding each other’s left hand. Facing apart and standing sideways to each other, with your right hand, hold onto your child’s left hand and try to balance each other out like the first exercise. Try alternate hands as well, facing apart the opposite direction. Make a show of how strong they are! This activity will help your child develop spatial awareness and problem solving skills. It also stimulates the balance organs in the inner ear, the brain stem and the cerebellum, and enables our brain to organise itself so that the body can appropriately responds to gravity. This affects our posture, balance, vision and coordination – all essential skills for sitting still in a classroom or controlling the body in active games at school. It also assists in speech and literacy. Encourage your child to try out new words or practice phrases they’ve heard before when they tell you how to stay standing without falling. This is a good way to practice communication and vocabulary while doing something fun! Let your child lead the activity and practice giving instructions. Ask questions about their actions… they must be feeling pretty powerful if someone their size can balance out someone your size! Give suggestions on how to help if your child is becoming unbalanced. What tricks do you use when you’re about to fall over? Have fun with the activity… falling over is part of learning! Other balancing games include: Walking in a straight line and avoiding obstacles, playing musical statues (dance around until the music stops, then you have to freeze! Use slow and fast music and alternate directions) or balancing on one leg at a time. So, have a great time with the kids dad, they will love you for it!